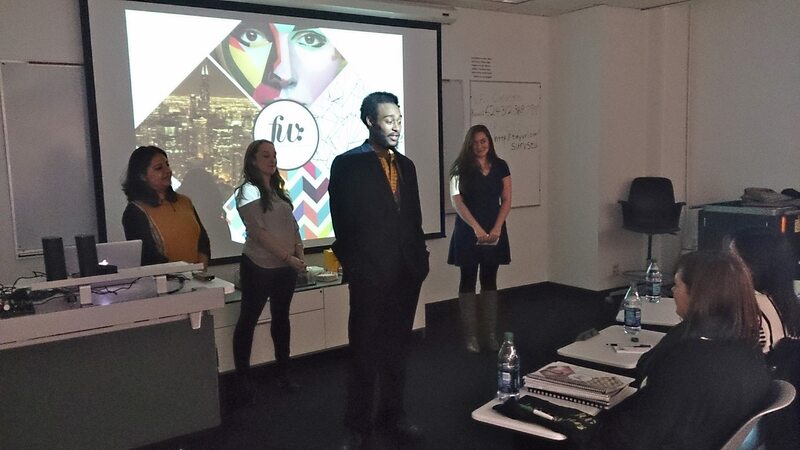 Monday, December 7th, five teams of graduate students presented unique marketing plans to the newly launched FW Chicago women’s magazine. Through the Marketing Principles class, taught by Sandra Kumorowski, students were introduced to a local client and given real-world experience. “I didn’t expect to win because there were a lot of really great presentations. And I don’t plan on going into marketing specifically, but I think this class is really valuable in learning the basics in marketing, so that one day when I hopefully am in management, I will at least understand what that department needs to do,” Tessa, member of the winning team. The Principles of Marketing course is a required course in the Master of Arts Management program in the Business & Entrepreneurship Department. Students are expected to learn the basic skills of effectively marketing to target audiences and relating it to the arts. Completing market research, analyzing the business needs, and catering to the brand’s values, were among the skills learned. “The experience overall was very rewarding to be able to actually get involved with something and see that our ideas have true value. A lot of our work is going to be actually used in a business environment. That was really inspiring,” Brandon, member of runner-up team, “Gold Coast”. All teams that presented had great ideas that Kendra Chaplain, founder of FW Chicago, plans on implementing. Each student will also be able to add to their resume that they were marketing consultants for FW Chicago Magazine this semester.